Put a healthy twist on a classic dessert by adding whole ingredients to these White Chocolate Ghost Haystacks. 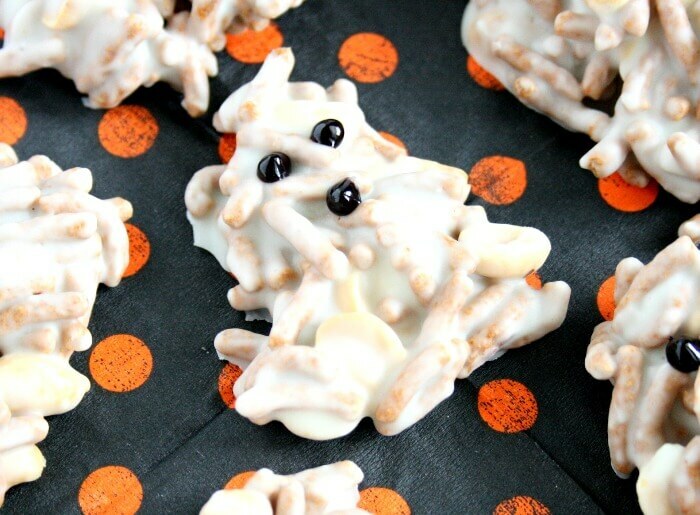 Halloween will be here before we know it and these White Chocolate Ghost Haystacks are just the Halloween dessert for your little goblins. Of course you can’t go to the store without being tempted with some kind of Halloween treat, so I put my own clever spin on a classic recipe to give it a boost of nutrition. Now don’t get be wrong, I love candy, but we all know it’s not the most nutritious option out there. On top of all of that candy, there are desserts and other sweet treats at parties, school events, and even the office. Talk about sugar overload! 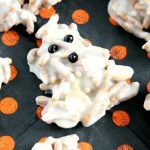 My White Chocolate Ghost Haystacks are a spooky Halloween dessert that still satisfy the sweet tooth but with the addition of some whole grains and fiber. Shhh…. you never have to tell! One of my favorite Halloween treats are haystacks. Haystacks are traditionally made with chow mein noodles, butterscotch chips, and peanuts. The really are so simple and so delicious. My healthy twist is easy to do and you won’t even taste the difference. Simply swap the chow mein noodles with your favorite whole wheat fiber cereal. I used the Fiber One Original Cereal. 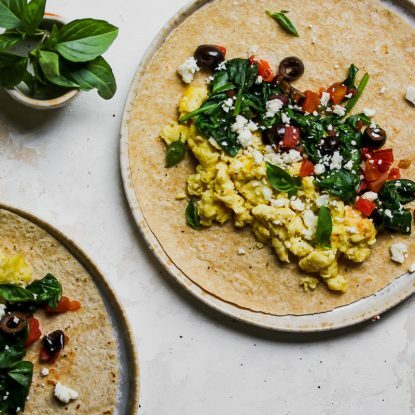 You still get all of that delicious crunch and some added whole grains and fiber. It’s a win win! 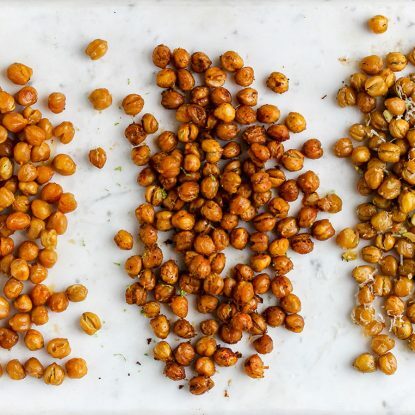 Sweet, salty, and crunchy! Halloween treats don’t have to be all bad! 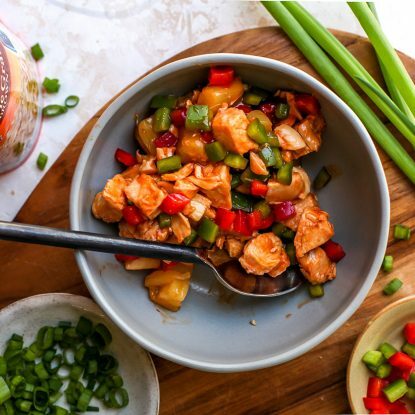 Try putting a healthy twist on some of your favorites! If you’re looking for some party food ideas, I’ve got you covered at my Halloween Headquarters! From Halloween snack to Halloween finger foods to Halloween treats for a party to healthy Halloween treats for kids, you can find it all! Place white chocolate chips in a microwave safe bowl. Heat for 30 seconds and stir. Continue heating and stirring chocolate chips in 30 second intervals. Once your chocolate is melted, add your oil to the mixture. You don't have to add the oil, but it will make it easier to coat the cereal. Combine the cereal and seeds/peanuts in a bowl. Pour the white chocolate over this mixture. Gently stir to coat the cereal and peanuts in white chocolate. Drop the mixture by spoonfuls on a baking sheet lined with wax paper. Fashion each haystack into a ghost shape and place in the fridge to set. Once the haystacks have set, add the ghost eyes and mouth with black icing. Make your Halloween treats a little less scary by adding wholesome ingredients. 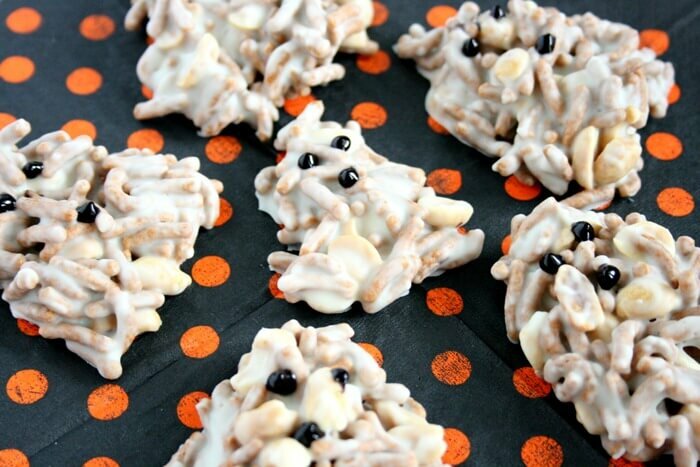 My white chocolate ghost haystacks put a healthy twist on the classic dessert. Your little goblins will never know! So cute and creative! Pinned to my “Fun Food” board! Thanks so much, Mona! I’ll have to check out that board!